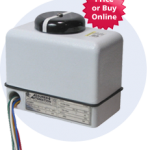 The V4 Series is an electric motor actuator with end of travel limit switches which stop the motor in each direction. 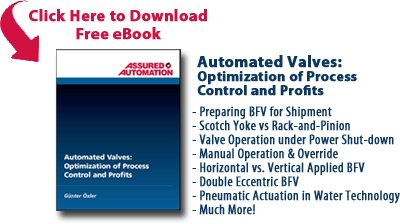 In this video the V4 Series actuator is shown mounted on an Assured Automation 26 Series Ball Valve. The V4 Series comes with external wire leads for ease of wiring. The housing cover never needs to be removed. locate the white wire #1 and red wire #5 for CCW rotation. When power is applied to 1 & 5 the actuator will turn CCW until it reaches the internal limit switches and shuts off. Locate the white wire #1 and the black wire #3 for CW rotation. When power is applied to #1 & #3 the actuator will turn CW until it reaches the internal limit switches and shuts off. The blue wire #2 will have power on it when you reach the full closed position. The yellow wire #4 will have power on it when you reach the full closed position. If these feedback switch wires are not going to be used, they must be properly isolated to prevent short or shock. The wiring diagram can be found on our website (https://assuredautomation.com) and inside the actuator cover. For any other questions contact us online or call toll free at 1-800-899-0553. This entry was posted in Installation and Training, Latest News and tagged Electric Actuators, Internal Limit Switch, Tech Talk, V4 Series. Bookmark the permalink.